Come see ProfiStop in action at the place where it is designed and made at our next Open Day, in Melbourne, 24 Nov 2016. 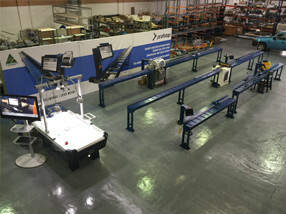 Talk to our Engineers about the positioning application for your production and see our length stop, semi-automatic and fully-automatic saw displays. Learn about productivity features most don't know about, and most of all, discover the difference ProfiStop automation can make to your bottom line. - ProfiStop Lazer, a soon to be available low-cost but high-capability linear positioning solution. - OptiCut-1D, cloud-based cutting jobs and stock management and procurement solution, fully and seamlessly integrated with ProfiStop length stops and auto saws. 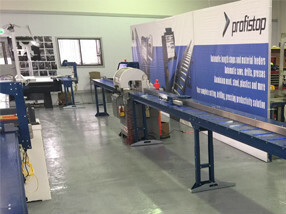 - ProfiStop Steel and Aluminium Auto Saws. - ProfiStop auto saw on-the-fly jobs optimization and defect removal systems. Complimentary BBQ and a gift pack for all attendees and special offers for interstate visitors. No registration required. Also as always, take on the ProfiStop at the Air Hockey Challenge, a special application high-speed camera-controlled ProfiStop system designed to be the arcade air hockey Champion. If you can beat it a special prize awaits you.